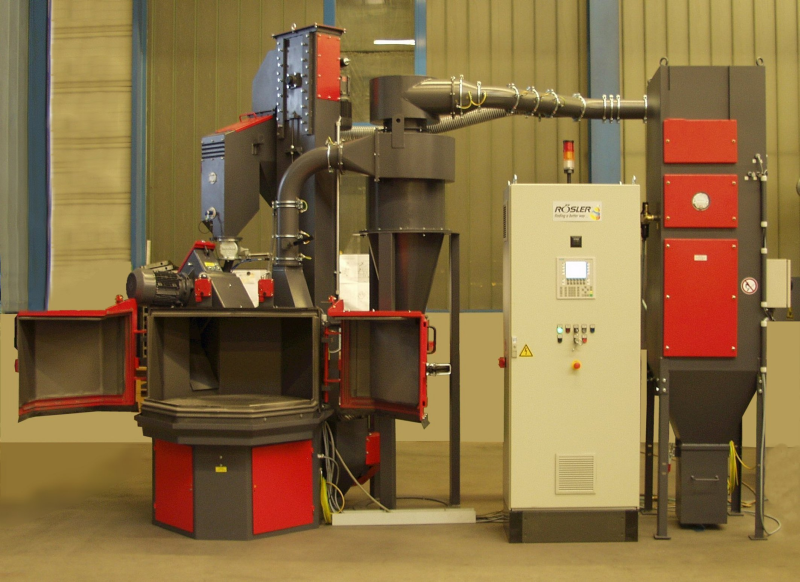 Blasting machine where casting parts are continuously guided on the rotating table through the blasting area (Fig. 1). Even blasting is guaranteed. This machine type distinguishes itself by its versatile uses. Workpieces with different sizes, forms and geometries up to fragile parts can be blasted and cleaned without any problems. With this construction type, the items to be cleaned runs through the blasting area on a rotating table. The operator places the castings on the table and takes blasted party away. So-called satellite rotary table machines enable a targeted and completely contact-free surface treatment of different workpieces and different machine capacities. The blasting spectrum ranges from deburring and destaling to shot peening. 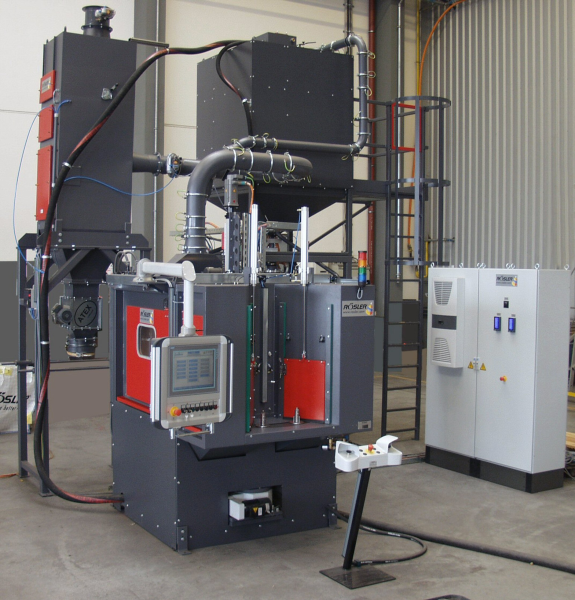 The machine is particularly interesting for applications where workpieces have to be blasted only partially. The concept is based on a modular system where six, eight, ten, or twelve stallites can be mounted, but it can also be used completely automatically. This machine type is also equipable as injector or pressure blasting machine (Fig. 2).